Clearance(mm): 25 Horz. x 35 Vert. The Abus new generation of padlocks , strong, lightweight and innovative. TITALIUM is based on a special aluminium alloy, a mixture of materials is created that is extremely durable and lightweight; similar to the process used in aircraft construction. This contemporary product implementation is also reflected in the product design - all the locks in the TITALIUM series feature an impressive stainless steel like finish. Compared to classic brass padlocks, the locks in the TITALIUM series are around 30% lighter but feature the same level of security making them excellent value for money. 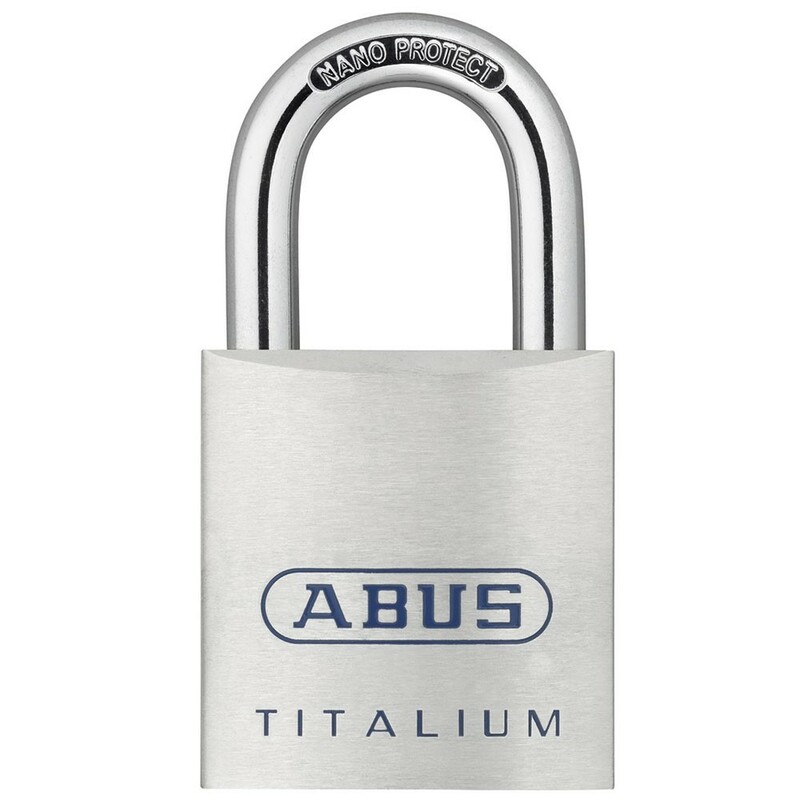 The flagship of the TITALIUM family of padlocks the 80TI series makes an impression with both its look and its technical properties. Within a massive lock body is a 6-pin precision cylinder with paracentric keyway giving protection against both forced or manipulative break-ins. A chrome plated cylinder core and double bolted hardened steel shackle with NANO Protect shackle coating assures security & high corrosion resistance.